Park Jiyeon of pop girl group TARA was sending greetings to fans who sent the hot buffet meal as a gift. On the afternoon of February 16th, 2012, Jiyeon tweeted, “Our fans you’re great!!! It’s really delicious! Really appreciate it. The mood yesterday was really good,” and uploaded photos. 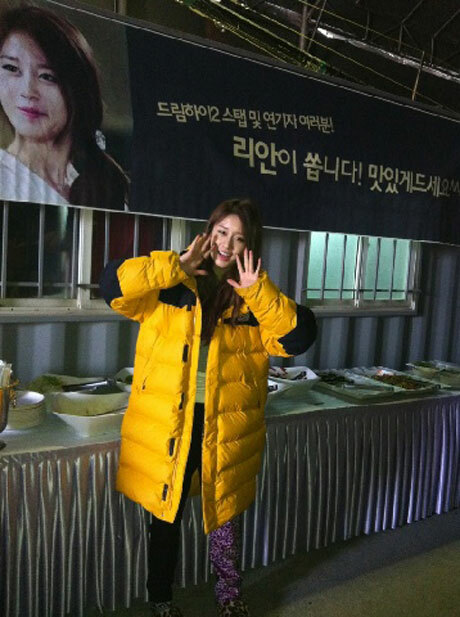 The fans of Ji Yeon was preparing the buffet meal for the production crews and cast members of Dream High 2. Netizens said, “Looks delicious, nice,” Cheers, shoot well!” and so on.